Today plant hunters still travel the world looking for plants that will find a home in American gardens. The American grower Proven Winners tests plants from sixty breeders around the world. 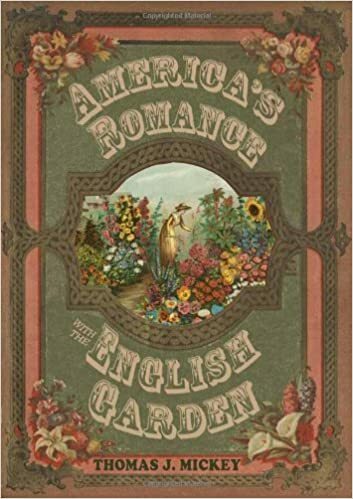 The company trials them and if they are worthwhile, the new plants become part of the palate for the American gardener. The company introduces fifty new plants out of thousands that it tests every year. 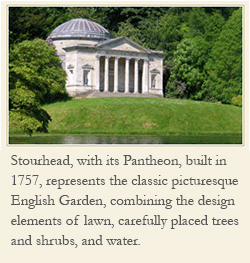 Exotics were important to the nineteenth century English garden as much as they are to American gardens today. English garden writer William Robinson (1838-1935) encouraged gardeners to cultivate exotics in the garden. Today as we garden, exotics can continue to play a role in the garden. Plants from outside the US have always found a home in our gardens. 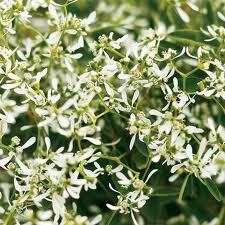 In Germany Gary Grueber bred the popular Euphorbia ‘Diamond Frost’ [above], first introduced in 2004. The flowers resemble ‘Baby’s Breath’. Proven Winners soon after sold it to American gardeners. Since then it has won over twenty-three awards. Exotics, or plants from outside the US, continue to be important today. American gardening reflects Robinson’s words of advice.